I’ll start by confessing that this is the second time I’ve read this book. When I first attempted it, I simply wasn’t in the right mood , and I’m so glad that I gave it another go because this is yet another Rundell triumph. The story begins with a plane crash and four children – keen explorer Fred, spiky Con and Brazilian siblings, Lila and five-year-old Max. Alone in the jungle, they have to pool their scant knowledge in order to survive. Despite the terrible odds (snakes, caiman, piranha…yes there are some nasties in the book, but this is the Amazon rainforest after all), Lila’s optimism helps to buoy their spirits and they manage to stay alive. But they also need to find a way to return home, and this is where the Explorer comes in. I won’t give too much away – needless to say that Rundell has once again fashioned a truly memorable character capable of both anger and kindness, not entirely likeable yet with good reason. His voice lends a wider perspective to the novel – touching on subjects such as the environment and colonialism without beating the drum too loudly. The writing is satisfying as always. I found the prose cleaner than in Rundell’s earlier works but her trademark inventiveness can still be found in phrases such as ‘The ants were so small it was like being covered in full stops, ‘ and ‘The jungle was an infinite sweep of green: a Turkish carpet for a god.’ Personally, I preferred this simpler style and it carried me swiftly through the book, deftly revealing how the children become mentally and physically stronger, as well as closer to one another. There’s a sense of repressed emotion throughout the novel, which made the ending all the more moving. And I loved the epilogue. It was the perfect way to end this exciting tale and leave us hoping that there might be another story to follow. 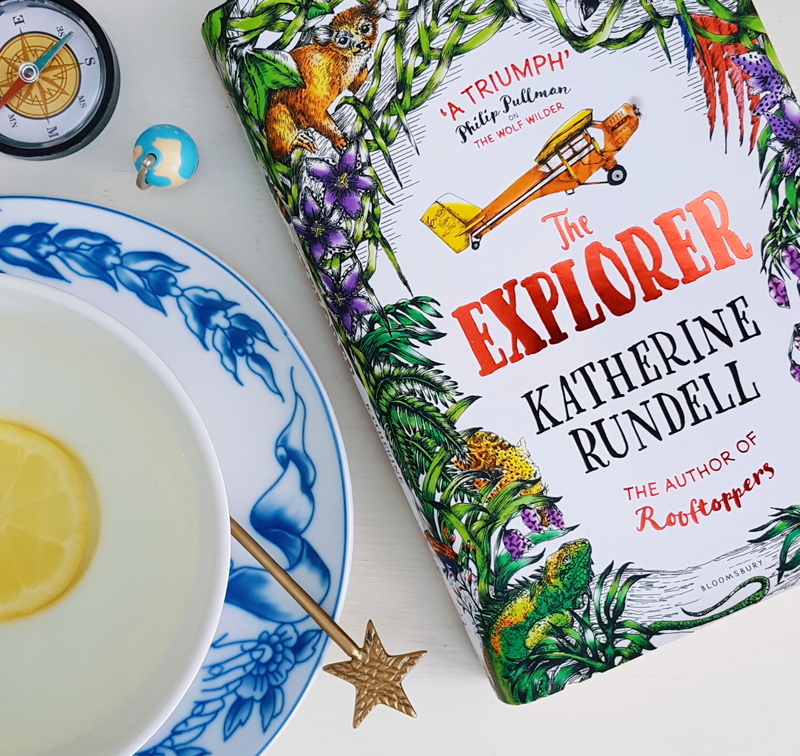 I’d recommend The Explorer for fans of survival and discovery stories – think Bear Grylls meets The Lost City of Z. If you’ve read it, I’d love to know your thoughts in the comments!